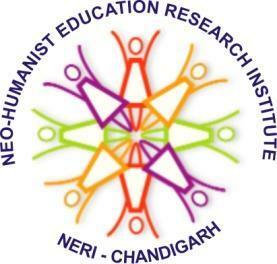 This conference was the result of a collaboration between the Neohumanist Education Research Institute (NERI) Chandigarh and NITTTR Chandigarh. 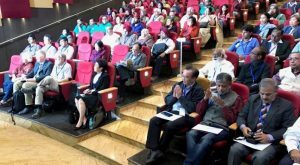 The purpose of the conference was to bring together international experts in Neohumanist philosophy and practice with experts working at the cutting edge of technological innovation for sustainable futures. 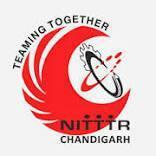 NITTTR is National Institute for Technical Teachers Training and Research the premier Indian research institute in technical teachers training and has grown under the benevolent leadership of Dr. M. P. Poonia. This institute is keen to embed Neohumanist values in its curriculum and saw this conference as a way to test/explore the possibilities of a long term future cooperation between NERI and NITTTR. The result was a profound success! 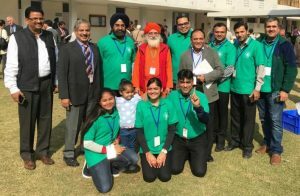 The Chandigarh NERI team worked unitedly and tirelessly with Dada Shambhushivananda to make this a smooth and engaging event. 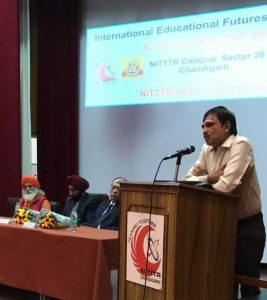 The Chancellor of Chandigarh University Shri Satnam Singh was the chief guest and welcomed all the scholars to this international event. 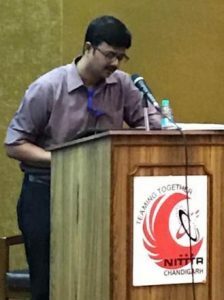 The Institute of Engineers and several other organisations supported the event including the ICICI bank. Sustainable FuturesInternational presenters included Khun Krisada Kampanatsanyakorn who spoke on the incredible potential of the vanadium redox flow battery to transform the face of energy – he was very passionate in promoting sacred activism; Dr. Sid Jordan (USA) who spoke on bio-psychology and educational futures; and Dr. Marcus Bussey (Australia) who spoke on Neohumanist Educational Futures and Causal Layered Analysis. Local participants included Professor Uttam Pati who spoke on Microvita; Professor Ananta Kumar Giri who spoke on a new poetics for education; Mr. Vikram Saraph who spoke about built environments and challenged the audience to do more for the poor; Dr Nitin Patil who spoke on Yoga and Meditation in Schools; Dr. Neera Sharma who spoke on cultural and religious alienation amongst Indian youth; and Dr. Geetha Mohan who spoke about Vedanta and the management of self and society. There was a strong current of universalism throughout the conference where dialogue and exploration of possible collaborations for suffering humanity and planet and for future generations was at the fore. This shared vision informed the sacred activism of the attendees and was celebrated when the conference was opened with the local NERI team singing the Samgacchadvam’ mantra which calls all humanity to move together with universal spirit. This spirit was reflected in the diversity of attendees who represented many faiths and interests. The technology stream of the conference focused on technologies that will enable the multitude to access energy and move out of poverty and all thus address the environmental pain of the planet. The cultural stream focused on the link between the personal and the collective. 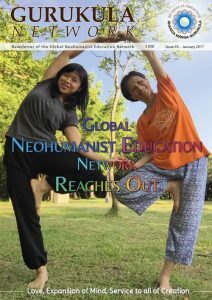 The talks on yoga, microvita and biopsychology grounded this work in the body, talks on yogic values and their expression in the world linked the individual with the world whilst presentations that focused on cultural transformation and planetary futures fostered the notion that humanity are cosmic beings having a human experience. For the welfare of others. The conference brought this sense of universal love to the question of the futures facing humanity. The issues facing humanity are profound and complex and can be overwhelming. 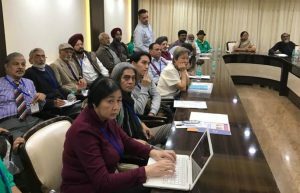 The focus on technology as a tool to transform current concerns about the limits of growth set the scene for discussions on harnessing new develops for the welfare of the planet. 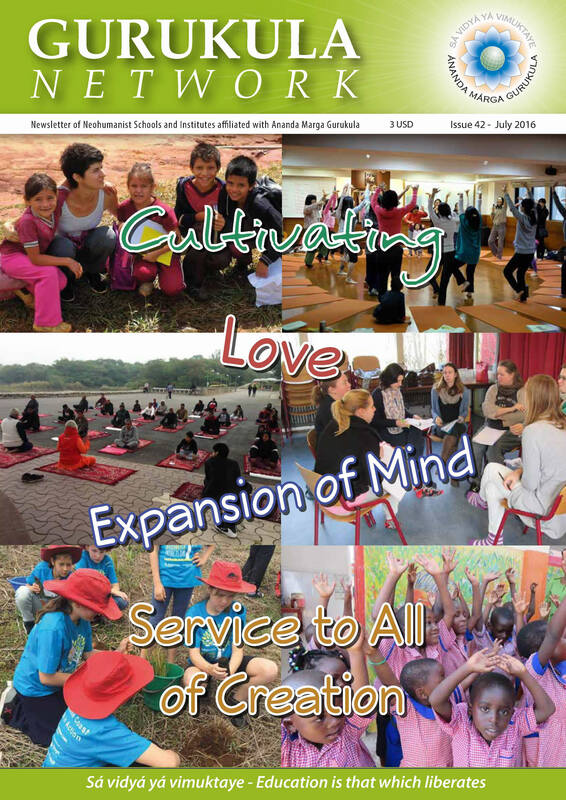 The focus on biopsychology, yoga and yogic theories of the mind grounded any transformation in the individual’s consciousness and physical, intellectual and spiritual practices. The focus on futures and futures thinking expanded the discussions to allow for the personal, the political, the technological, the educational and the transformative to be understood as an ongoing process of engagement with the world. 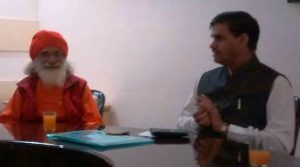 during the two days of deliberations. this very moment that is the present! the hopes of a glorious future. the underlying spirit of the present. How blessed are we to be living in it! These words sum up the spirit and experience of the NITTTR-NERI Conference on Educational Futures. Here we took the planet as a mirror of the self and worked at ways to generate new stories for humanity and the planet. One in which human potential was not pitched against the world and cosmos we live in but found through a sense of relationship and co-creative engagement with the Cosmos and the rich possibilities of this Neohumanist Moment. The cultural evening on November 18th started with two Prabhat Samgiita (songs composed by Shrii Prabhat Rainjan Sarkar) which were sung melodiously by two famous local artists. Chandigarh First Forum also honoured the persons who contributed towards the founding of Chandigarh during the cultural night. 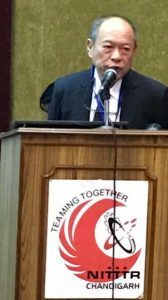 For those of us who attended the conference motivated by the desire to serve our grand vision of creating a better world in service of all, the camaraderie of like company left us inspired to keep going!